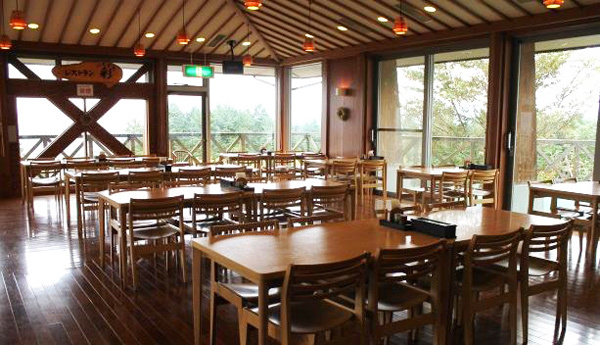 Ikoi no Mura Shimane is a beautiful resort hotel perched atop a hill near the border of・・・Read more. 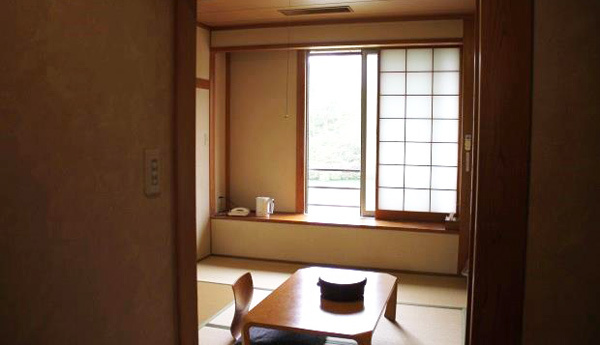 Located next to Koboku no Mori Garden is Koyukan, a Japanese-style inn that welcomes ・・・Read more. 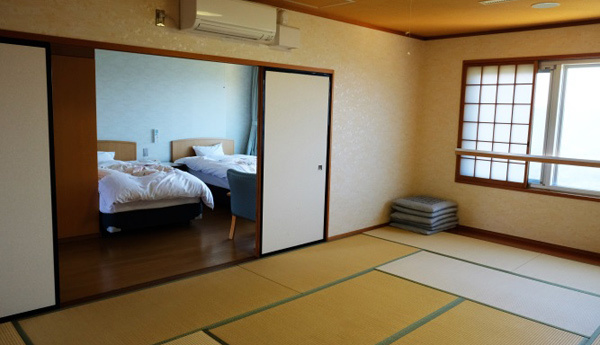 To experience day-to-day life in rural Japan, try our Minpaku Homestay experience・・・Read more. Ikoi no Mura Shimane is a beautiful resort hotel perched atop a hill near the border of Shimane and Hiroshima prefecture. At 540 meters (~1,770 feet), it offers breathtaking views of the basin below from every room. 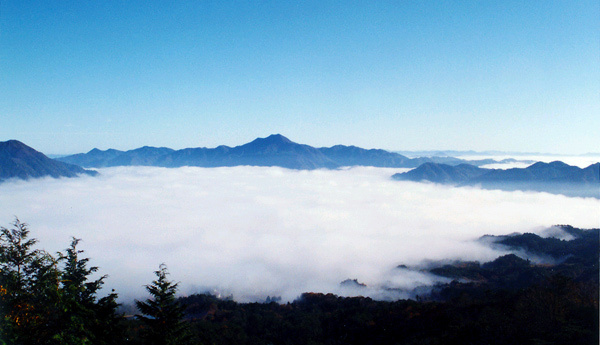 In the fall if the weather is just right, guests can catch a view of the “sea of clouds” phenomenon that carpets the valley below. There is also a shared bath guests can indulge in while taking in the scenery. There is a gift shop in the lobby where guests can purchase local souvenirs, and a restaurant on the ground floor to enjoy lavish meals. 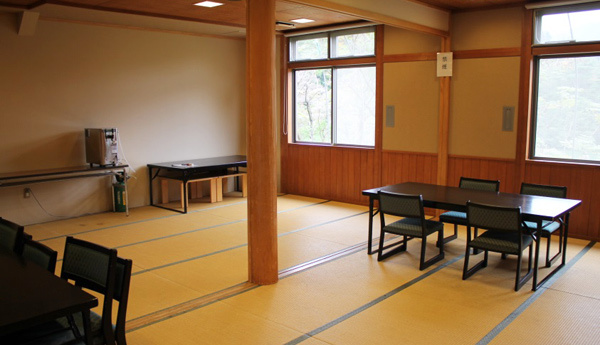 Conference, dining rooms and an auditorium are also available for rent, making Ikoi no Mura Shimane an ideal location for events and groups. 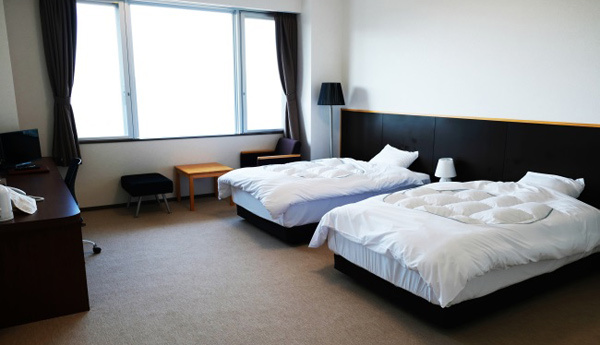 With tourist attractions such as the top-class slopes of Mizuho Highland Ski Resort, ground golf, and restaurants serving Ohnan’s A-Class Gourmet food just a short drive away, Ikoi no Mura is perfect for a relaxing weekend getaway. Note: No Wi-Fi access in room. Free Wi-Fi in lobby. *For questions regarding room rates, meal plans, please contact Ikoi no Mura Shimane directly, or the Ohnan Tourism Association for inquiries in English. Don’t have a car? Click here for bus access to Ohnan. 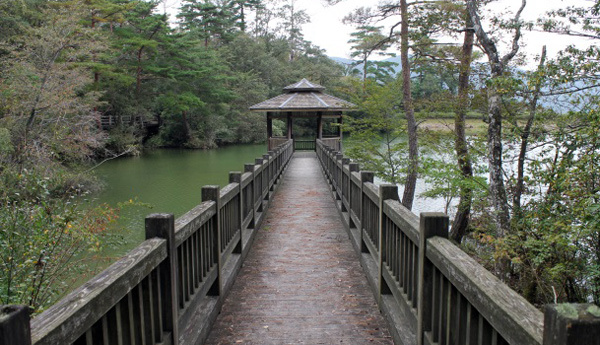 Pick-up can be arranged in advance from Koboku no Mori Garden. 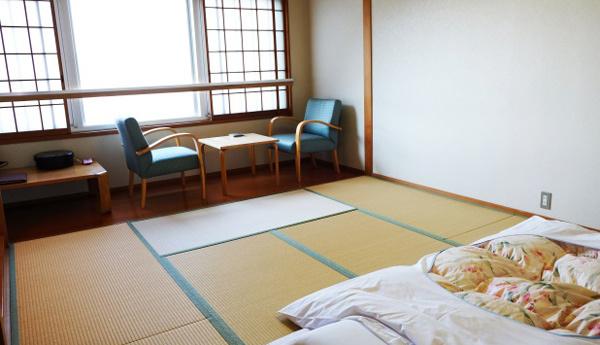 Located next to Koboku no Mori Garden is Koyukan, a Japanese-style inn that welcomes weary travelers with open arms. 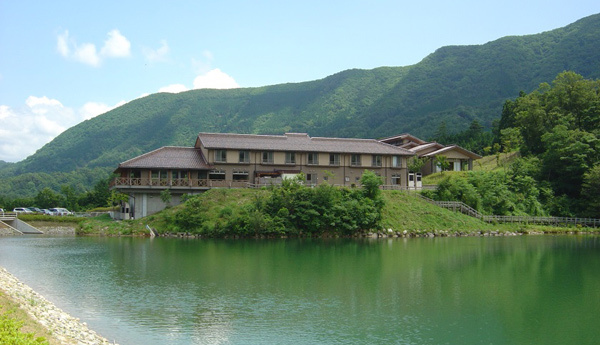 Adjacent to this accommodation is also Iwami Onsen (Kiri no Yu 霧の湯) and Restaurant Irodori (レストラン彩). 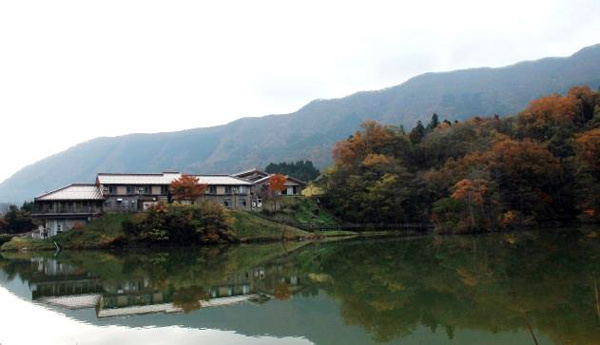 Visitors can enjoy the traditional atmosphere and meals offered at a Japanese-style inn, take a stroll around the lake with remnants of ironmaking, and relax and refresh themselves in the onsen (hot spring). 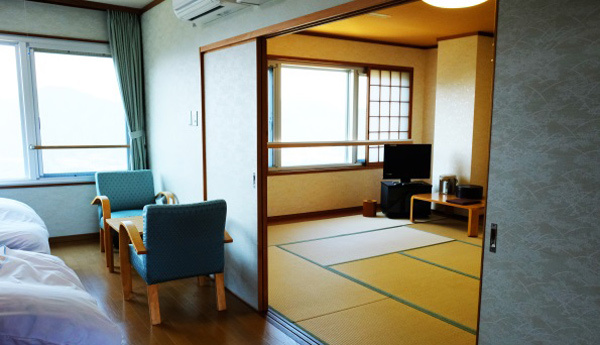 Koyukan offers 9 tatami rooms, 2 of which can be combined for groups of 5-8 people. 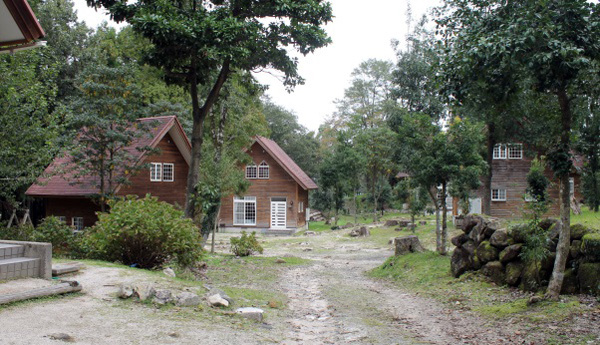 For a more private, secluded stay, there are also 12 bungalows (log cabins) complete with BBQ equipment and playground. 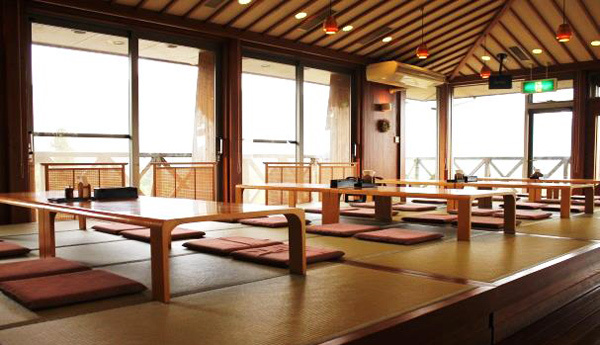 Koyukan is also home to Restaurant Irodori, a quaint dining area with western and tatami seating, so you can also sit down for a peaceful lunch or dinner. This restaurant also offers Ohnan’s famous Iwami wagyu beef (reservation required) and Iwami pork. *Above prices are for stay & meal package. 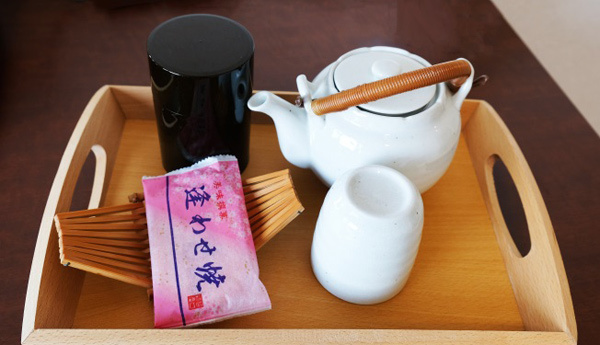 In Japan, Japanese-style inns meal packages generally offer generous, lavish dishes. For those with smaller appetites, it is possible to make a reservation without adding a meal plan. Please confirm whether you would like meals included with your reservation (dinner, breakfast or both). *Bath/shower in bungalow. 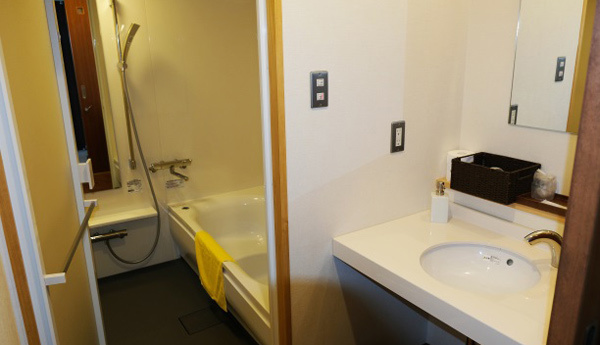 Onsen ticket can be purchased at half price (300 yen) upon check-in. Don’t have a car? No problem. Expressway buses travel from Hiroshima Station and Hiroshima Bus Center to Ohnan, and a quick hop on a local bus gets you right to the front door. Click here to see information on public transportation. 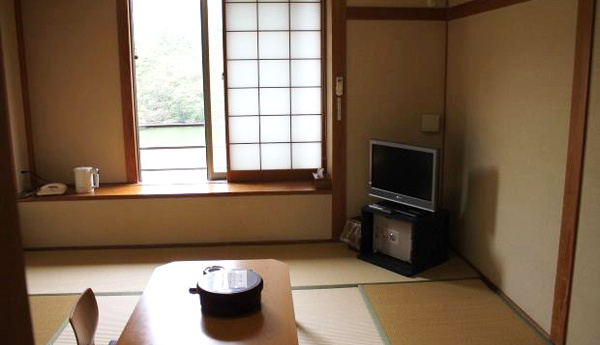 To experience day-to-day life in rural Japan, try our Minpaku Homestay experience. 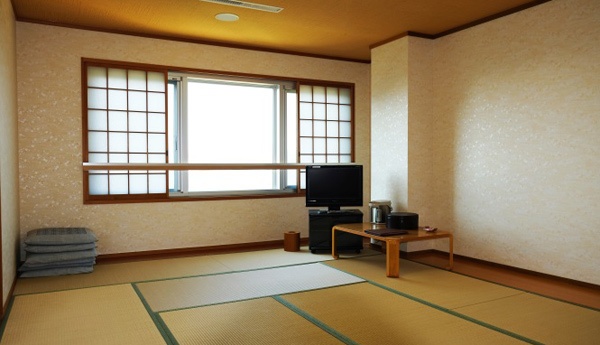 Visitors stay in traditional Japanese homes with town residents and participate in a variety of activities with the families, such as farming, tea ceremonies, soba making and more. 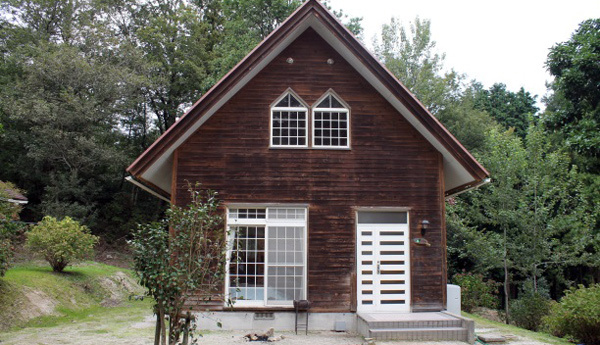 Minpaku Homestay is a chance to make lasting relationships and experience life away from the city. Great for families, groups and individual travelers. To reserve Minpaku Homestay, please Contact Us with how many members are in your group and the desired dates of your stay. Copyright © 2018 Ohnan Town Tourism Association. All Rights Reserved.